Eczema affects 30 million Americans, which makes it one of the most common skin conditions. Although it often develops during childhood, it can persist into your adult years or appear for the first time in adults. 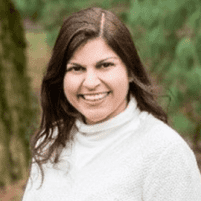 Anita N. Wasan, MD, at Allergy and Asthma Center is an expert in identifying eczema and creating an individualized treatment plan for each patient. If you develop a skin rash, schedule an appointment for an evaluation by calling the office in McLean, Virginia, or by using the online booking tool. Eczema is the name of a group of inflammatory skin conditions. The most common form of eczema is atopic dermatitis, but other conditions in the eczema group include contact dermatitis, seborrheic dermatitis, and hand dermatitis. Eczema usually first appears in infants and young children, with an estimated 60% of all cases appearing before the age of one. However, you can experience your first case of eczema at any age. What symptoms develop due to eczema? Eczema causes red skin, severe itching, and other symptoms that vary from one person to the next. You might develop red, swollen areas on your skin, or dry, scaly patches. You may have a bumpy rash or blisters that ooze then form a scab. Although symptoms can develop anywhere on your body, their location tends to follow patterns based on your age. For example, young children usually have eczema on their face, elbows, and knees, while it tends to appear on the hands, feet, and arms of adults. Eczema comes and goes, but when it becomes inflamed and flares up, it’s often caused by a trigger. Antibacterial ointments and fabrics such as wool or polyester often lead to an eczema flare up. Some patients find that their eczema worsens when they’re under stress. Before recommending treatment, Dr. Wasan may perform allergy skin testing, lab draws, or suggest that you have the T.R.U.E. TEST®, a patch test that’s specific for contact dermatitis. Dr. Wasan helps you identify your triggers and develop a plan to prevent them. Keeping your skin well moisturized is essential to maintain your skin’s barrier, prevent flare-ups, and relieve the itching. Dr. Wasan may also suggest self-care tips and offer recommendations of types of soaps and products that are gentle. Dr. Wasan may prescribe topical creams or oral medications to help relieve inflammation and itching. If your eczema doesn’t respond to other therapies, she may prescribe a new biologic treatment called Dupixent®. This medication, which is injected every other week, helps stop the inflammation. If you have allergies, getting allergy shots will help keep your eczema under control. If you are concerned about patches of itchy red skin, call Allergy and Asthma Center or book an appointment online today.